Mohaymen at Shadwell Farm 4.11.18. 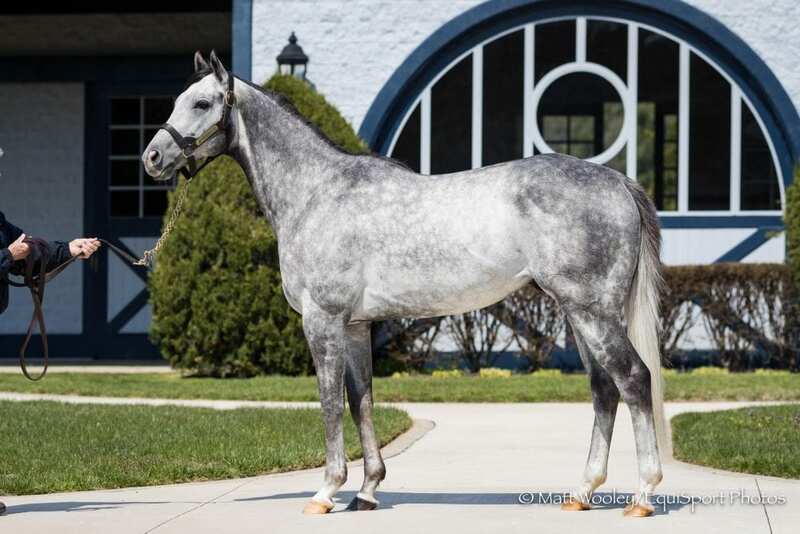 Our spotlight on new sires for 2018 shines this week on Mohaymen, standing at Shadwell Farm's Nashwan Stud in Kentucky. Bred in Kentucky by Clearsky Farms, Mohaymen is a son of Tapit out of the Dixie Union mare, Justwhistledixie. Sheikh Hamdan bin Rashid Al Maktoum's Shadwell Estate purchased the colt for $2.2. million at the 2014 Keeneland September Yearling Sale. That was the highest price that year. On the track, Mohaymen enjoyed tremendous early success, winning his first five starts, including the Nashua, Remsen, Holy Bull and Fountain Of Youth, all Grade 2 races. He went on to finish fourth in the Kentucky Derby won by Nyquist. He retired with earnings just shy of $1 million. Mohaymen is a half-brother to New Year's Day, who won the 2013 Breeders' Cup Juvenile. Mohaymen stands at Nashwan Stud for $7,500 live foal. We hope you enjoy the latest edition of In the Stud presented by Kentucky Equine Research. We would once again like to thank our friends at EquiSport Photos for the excellent video. This entry was posted in Bloodstock, In The Stud and tagged EquiSport photos, Freshman sires, in the stud, mohaymen, Shadwell Farm, Thoroughbred sires, thoroughbred stallions by Paulick Report Staff. Bookmark the permalink.